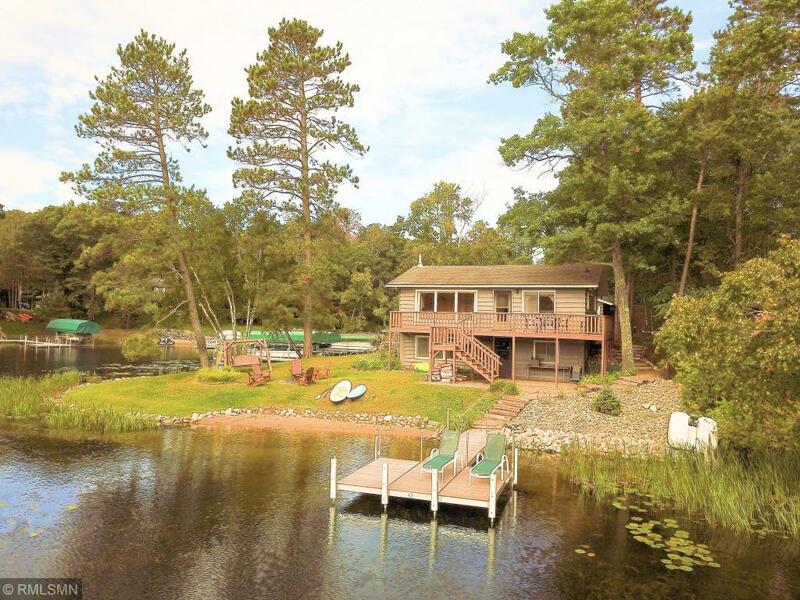 Retreat from the modern world to this 3 bedroom 3 bath Rush Lake home situated on 230 ft of sand frontage on a peninsula lot on the famous Whitefish Chain. Sit back and relax after a long day on the large lakeside deck or paver patio to take in the stunning lake views and warm summer breezes. Enjoy boating, fishing, swimming and all the other activities that the Whitefish Chain has to offer. You will love being minutes from all the Crosslake amenities including fine dining, shopping and golfing.